I would like to thank the owners and volunteers at the Open Book for taking on the Community Book Swap. 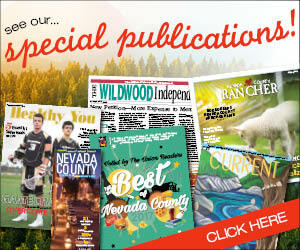 The swap has been going strong in Nevada County for many years in several locations. The main group for volunteers had some changes in it making it hard to continue the swap. July was to be the last one until Annie from the Open Book suggested they try taking it over. August was their trial run, it was a success with about 75 people stopping by to swap books, CDs, DVDs, puzzles, and magazines. The next one is 12:30 to 2:30 p.m. Sunday, Sept. 2. The Open Book is located at 671 Maltman Dr. in Grass Valley. Please stop by and thank them for continuing this important freecycling event.